Russian Helicopters has started deliveries of the first Mi-8AMT medevac helicopters. These helicopters were ordered last year by GTLK State Transport Leasing Corporation under the state program for development of air ambulance services in Russia. The first batch of three helicopters was handed over to operators in Siberia and North-West of Russia, the producer reported. All helicopters will provide medical evacuation services to patients in remote areas of Siberia and Far East, including the territories of Russia’s Extreme North. Chita-based Aeroservice will operate one of the helicopters to the benefit of the regional Healthcare Ministry. Until now the operator used An-2, L-410 and Cessna 182T airplanes for medical evacuation missions. The second helicopter has been forwarded to Angara Airlines and will be flown under the orders from Irkutsk Regional Emergency Medicine Center. The airline has already been using Mi-8T helicopters for medevac purposes, but they have no medical equipment. It also operates a Mi-8MTV-1. 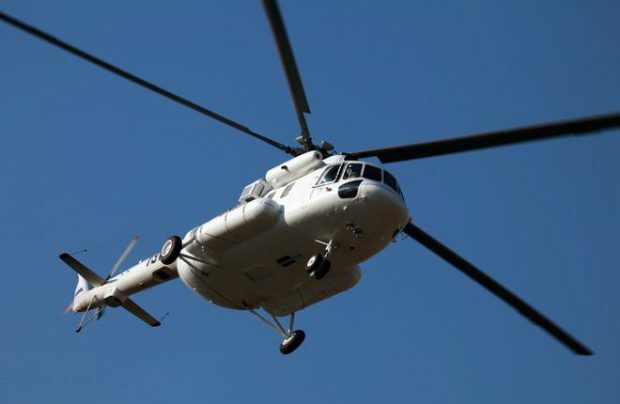 Naryan-Mar United Aviation Squadron, based in Yamalo-Nenetskiy Autonomous District, will operate the third Mi-8AMT. It currently flies Mi-8 helicopters in various modifications. The Mi-8AMTs are a part of contract between GTLK and Russian Helicopters for 29 rotorcraft. This number includes 13 Mi-8AMTs, 10 Mi-8MTV-1s and six Ansats. All aircraft are intended for air ambulance services in Russian regions and are delivered under financial leasing contracts for the period of 10 years with a system of discounts off leasing fees. Deliveries of the other two types have also started. The first two Ansats have gone to Russian Helicopter Systems in Volgograd and Vyatka-avia in Kirov Region. Launch operators of medical Mi-8MTV-1s under this program are Yakutia-based Polar Airlines and Novosibirsk-based Yeltsovka. All 29 helicopters are scheduled for deliveries this year. Further 30 helicopters in medical configuration are expected to be delivered through GTLK next year. This batch includes 12 Mi-8AMTs, six Mi-8MTV-1s and 12 Ansats.